Most people who tell me what they would like to improve in their business is their sales. Most people want to generate more income for their business and this includes increasing sales. Most people think that this is the answer to increasing profits. That is quite often not true. Most of the time, this is a symptom, not the problem. Many times, you can cut certain costs out, keep sales the same, and make a much more larger profit. That will definitely cut out the headaches (but that is for another podcast!). I see this over and over and over again. This can get very frustrating. Now, I am not talking about sales like a car salesman who is trying to sell you something you don’t need. I am talking about basic salesmanship. A sale is basically showing your potential customer something that they would like, asking them to give you money for it, you taking the money, and in return, giving the customer the product they paid for. 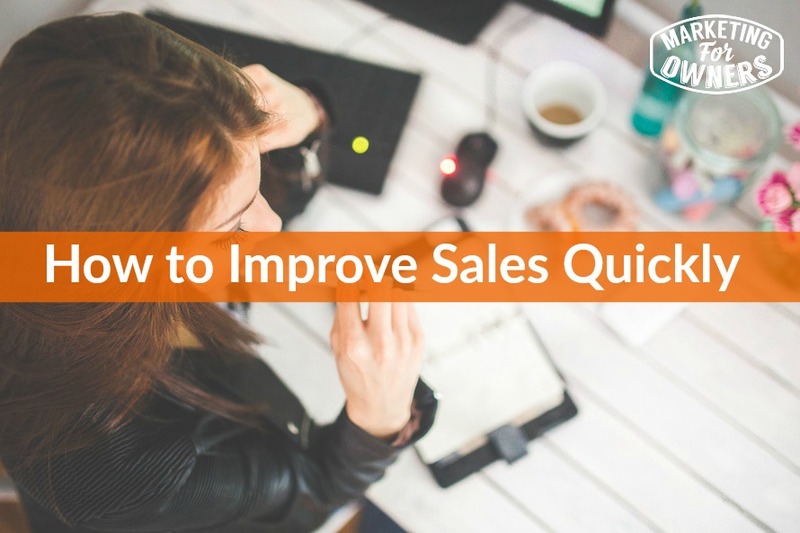 So, the way to increase that sale is simply this — train your people in how to sell. Let me say that again — have your staff trained in how to sell. Anybody in your staff who has an opportunity to speak to a customer. They may not even be the one who takes the orders, but they need to be trained as well. For example, your deliver driver. They are the only one who may be meeting eye to eye and physically speaks to the customer. Just because your driver knows how to drive and is very nice does not mean that he knows how to talk to a customer the right way. He may not know how to handle complaints, share about the product, etc. You have to train them to be able to handle any questions they are asked by the customer. Sales is not always taking an order. Sales is quite often handling objectives and things like that. If you train your people, they will feel more comfortable and appreciate you even more as an employer. They will feel like you have invested in their future at the company also. They can then deal with customers in a much more professional manner. Of course, this opens the door for more opportunities in sales. If a customer says, “Oh man, I should have ordered 3 of these, instead of 2”, then your staff member can assist them in getting that done instead of leaving it to a salesperson. Another example is a restaurant owner. Do you always hire young kids because you can work them at low wages? Do you train them in how to take orders, remembering what customers ordered and things like that? How about sales training? They are selling your product and if you cannot see that, then you need to hire someone who can manage and see the bigger picture. How about if you work at a supermarket or have a store like Walmart or Tescos? Your scanners are there every day ringing people up. How trained are they in answering questions your customers may have? This person is the one that will leave a lasting memory in your customer’s mind. Do you want them leaving a bad taste in their mouth? Why not train those who operate the cash register and ring people out trained in sales? If you think that you don’t want them hassling the customers and trying to make a sale, that is not what this about. This is about how to deal with sales. This is different. These are techniques and how to speak to your customers. If you have no customers, then you have no business. What about in an office? You can be a lawyer or a solicitor, so I bet you are wondering, how do you apply this to your business? How about your receptionist? Who answers the phone during the day at your business? You might not think that they can handle this type of thing because they do not have a legal assistant degree, or anything like that. However, they are your point of contact with your customer, so why not train them in the right response and right speech and sales talk so that they can either add to or salvage a sale? It’s Thursday and that means it is time for a drive time podcast. 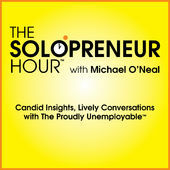 Today I want to talk about the Solopreneur Hour by Michael O’Neal. According to his podcast, this is what the show is about — This show is about watching them put their pants on. Nominated As “Best New Show of 2013” by Stitcher Radio, Our range of guests takes us from comedy, to acting, to the NFL, to UFC and MMA, to Top Music Stars, to Millionaires, to Business Experts, to Real Estate moguls, and everything in between.